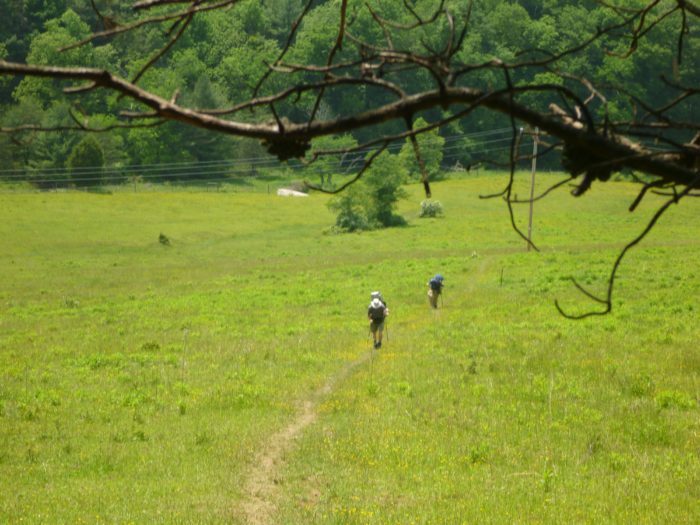 We continue our series on section hiking Virginia by examining one of the most popular sections of the AT in the Old Dominion – the roughly 90 miles between Pearisburg and Daleville. You’ll find a bit of everything on this section, including ridge walking, long climbs, valley pastures and fields, and three iconic Virginia AT landmarks – Dragon’s Tooth, McAfee Knob, and Tinker Cliffs. 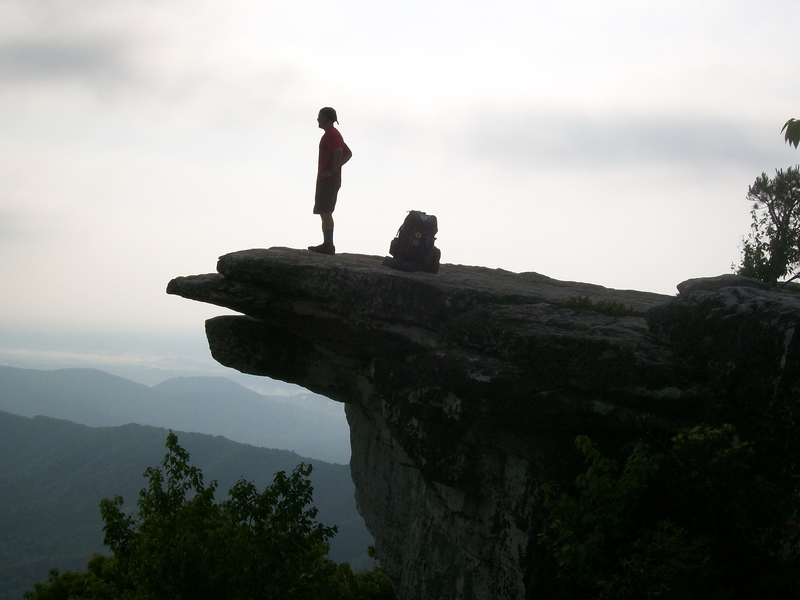 Looking to section hike the southernmost part of the Virginia AT? We’ve got you covered. No doubt about it, McAfee Knob is one of the highlights of this section. The trail follows multiple northeasterly ridges as you head north, with valley crossings in between. The section begins in the New River Valley at the town of Pearisburg. As the trail heads north, it crosses the New River and then follows a series of northeasterly ridges separated by narrow valleys. Relatively easy ridge walking is interspersed with drops to the valleys as you move to the northeast from ridge to ridge for about the first 60 miles. You’ll tackle multiple 1,000- to 2,000-foot ascents and descents as you move from ridge to ridge, but well-graded trail takes some of the sting out of the elevation changes. Hikers cross one of the many valley meadows in the section. 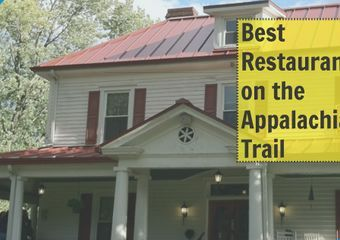 Beginning at Route 620, the trail enters a popular segment, skirting the rural countryside around Catawba, VA, to ascend the peaks of Cove Mountain, McAfee Knob, and Tinker Cliffs. 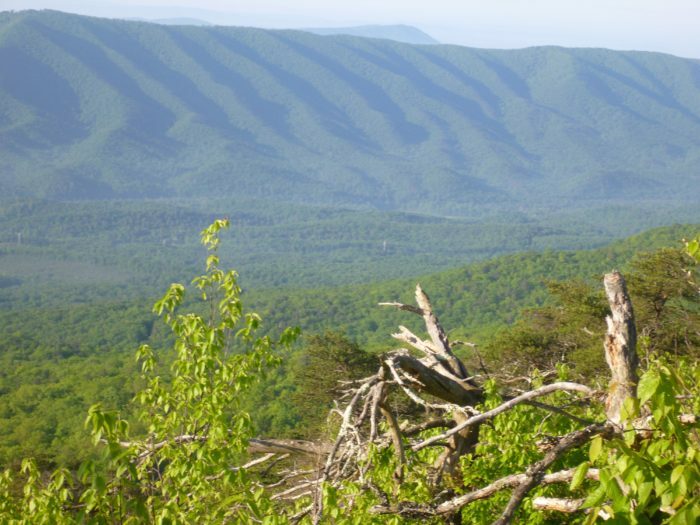 You’ll experience a series of magnificent views that look down at the rural Virginia landscape and back at the mountains you’ve crossed over the previous days. After leaving Tinker Cliffs you’ll follow a low ridge with views of the Carvin Cove reservoir to the right and the suburban community of Daleville on the left before beginning the final descent to Daleville, where the AT crosses busy US 220. This is an excellent six- to seven-day hike for a fit hiker who can keep up a pace of 12 to 15 miles per day. While you’ll experience some large elevation changes, the trail is well-maintained and grades are generally kept at reasonable levels throughout the section. 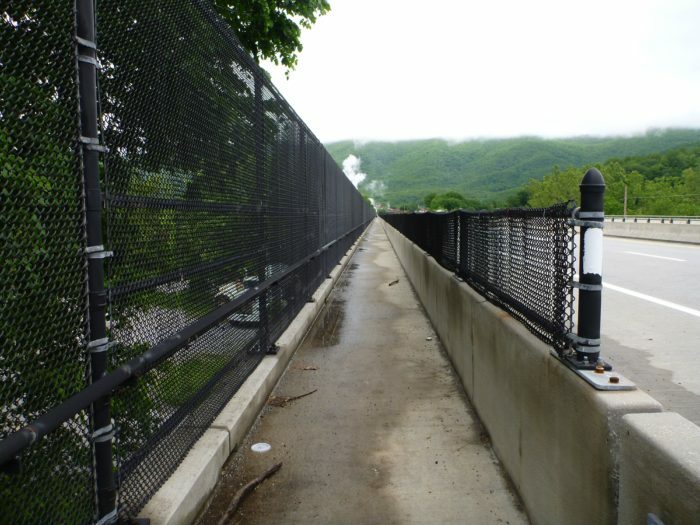 The section kicks off with a walk on the busy US 460 bridge over the New River before climbing back into the mountains. This popular section of trail is attractive during several seasons. In the spring you’ll enjoy wide vistas before the trees leaf out. Be sure to pack some sunscreen—a few sunny days without tree cover gave me a nasty burn during one spring expedition. 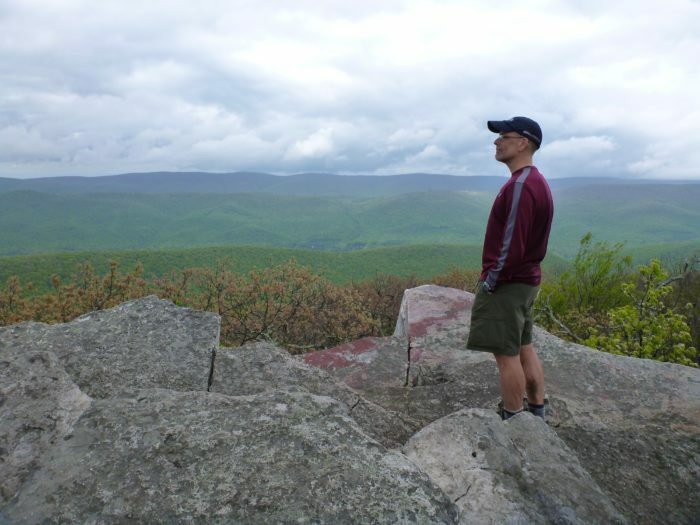 The thru-hiker bubble starts to spread out by the time you hit VA so you can join the migration during May and June without too much overcrowding. In the fall you’ll enjoy autumn colors to go with the views, as well as generally mild temperatures and mostly sunny days. Whatever season you choose, I like the NOBO option for this hike. There are several dependable shuttles based around Daleville, and you’ll have plenty of lodging and food options when you’re done with the hike. On a personal note, I’ve used Homer Witcher for my shuttles on several hikes in the area. Homer thru-hiked in 2002 with his entire family (long before that was trendy) and is active in area trail maintaining. Check our shuttle list and your guidebook of choice for more options. This section is a popular one for local backpackers and groups, and sees large numbers of day hikers at the popular destinations. The northern section of the trail, particularly around McAfee Knob, suffers from the stress of many visitors, and there are camping restrictions in several areas to limit overuse. 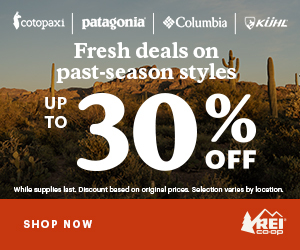 Be sure to use your best Leave No Trace practices while enjoying this section. 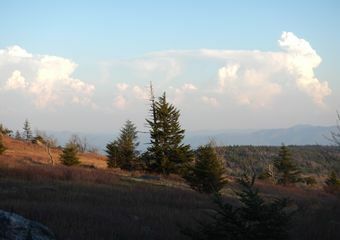 Mile 27, Wind Rock: Wind Rock offers an expansive view of the Allegheny Mountains stretching away to the west across the border in West Virginia. You’ll find some sheltered campsites a bit north of the exposed ridge, so if your schedule permits, consider camping below the rocks and enjoying a great sunset to finish your day. Looking west from Wind Rock. 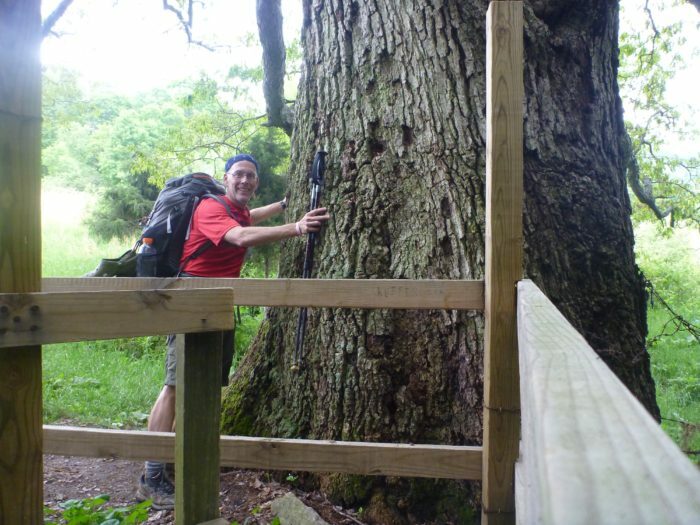 Mile 42, Keffer Oak: The largest oak tree in the southern half of the AT. Stop and give it a hug! Tree hugger and proud of it! Mile 55, Audie Murphy Monument: A skinny kid from Texas, Audie Murphy was the most decorated US Army soldier of WW II. He became an actor after the war, starring mainly in westerns. He died in 1971 when his plane crashed on Brushy Mountain. Take a moment to visit his monument. It’s maintained by local veterans groups and I’ve often seen informal tributes to other fallen service members placed there. A nice spot for reflection and for taking a break after the climb to the top of Brushy Mountain. 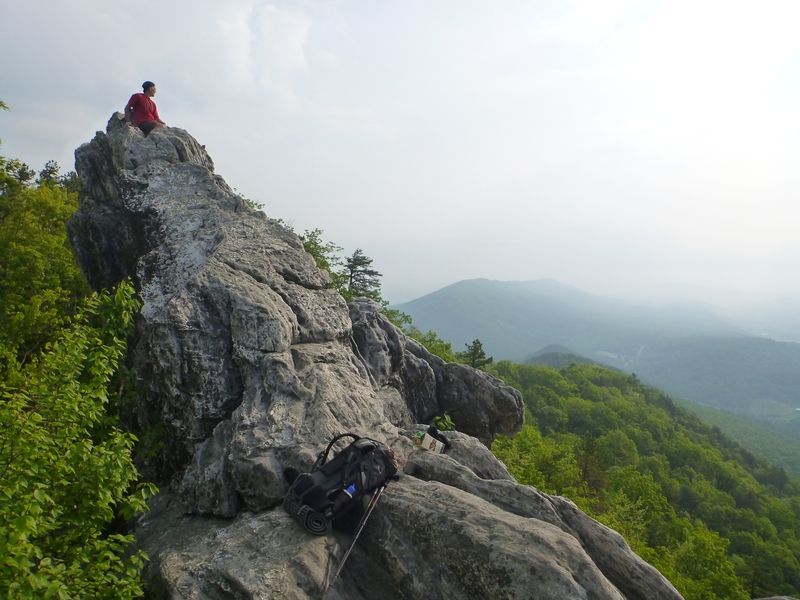 Mile 65, Dragon’s Tooth: This stone monolith is a fun climb for the adventurous hiker. From the top you’ll have a great view to the north and northeast, taking in the ridgeline containing McAfee Knob and Tinker Cliffs. If you’re heading north, prepare for some serious rock scrambling for the next mile or so as the trail descends to the valley below. 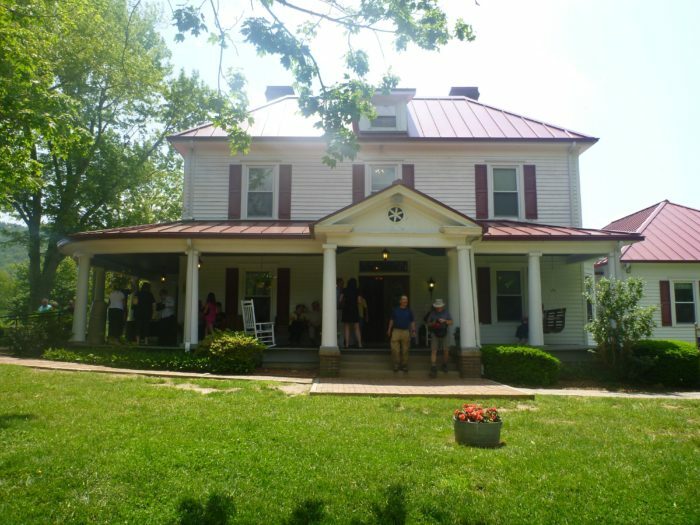 Mile 73, The Homeplace: A comfy all-you-can-eat family-style restaurant housed in a restored farmhouse. All are welcome and it’s not uncommon to see tables of hikers seated next to families in their Sunday best. Great food. Hikers leave The Homeplace with a full load on board. Mile 77, McAfee Knob: You’ve seen the pictures. 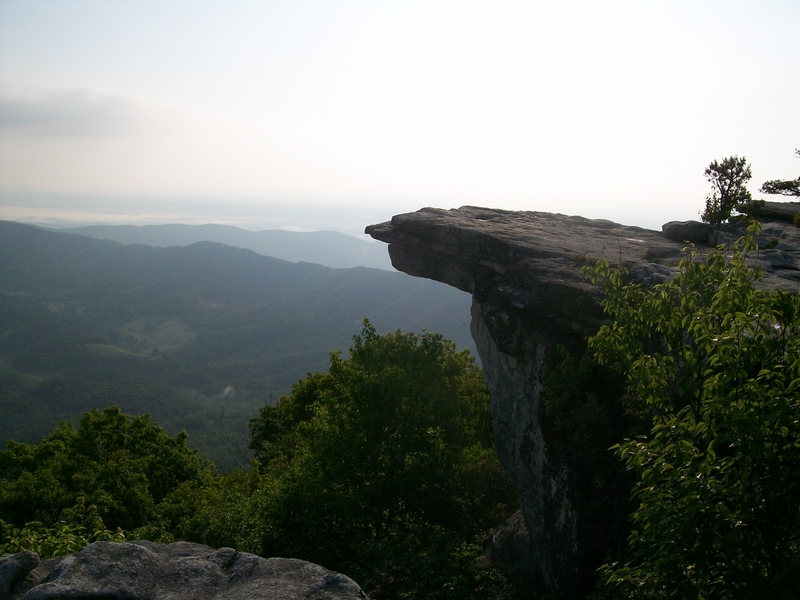 McAfee Knob is said to be the most photographed spot on the AT, and the view lives up to its billing. For a special treat, stay at the Catawba Mountain Shelter a bit south of the summit and take in the sunset. Don’t camp on the Knob. McAfee Knob on a quiet morning. Mile 82, Tinker Cliffs: You’ll enjoy beautiful views to the west and south as you follow the trail along the open rock cliffs for a half mile. Schedule a lunch break on the rocks and soak up the sunshine. North of Tinker Cliffs you’ll find excellent campsites along a stream at the Lambert Meadows Campsite, but be sure to heed any posted warnings about bear activity. 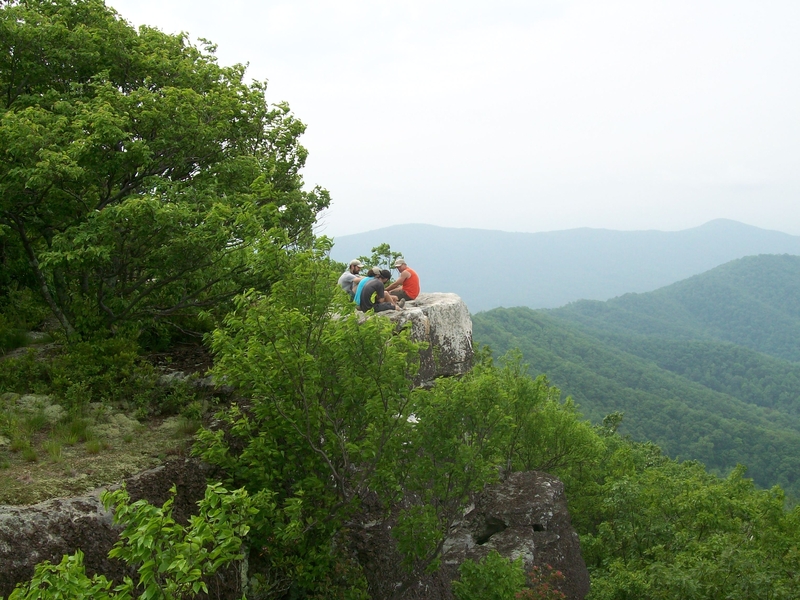 Hikers take a break on Tinker Cliffs. The ridge at the bottom right leads to McAfee Knob. There’s only one convenient resupply point along this section. That’s where the trail crosses VA 624, 67 miles north of Pearisburg. If you’re looking to stock up on supplies, the Catawba Grocery is located about a half-mile to the west and offers adequate resupply options, plus a small grill serving burgers and pizza. 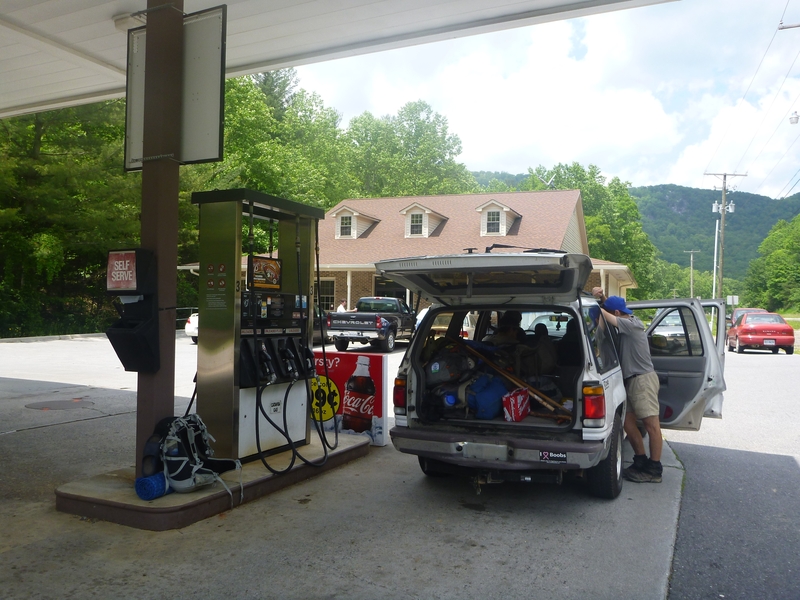 Catawba Grocery offers resupply about a half-mile off the trail. To the east, you’ll find the Four Pines Hostel, which offers showers, mail drops, and rather informal accommodations. Four Pines’ vibe may or may not be your cup of tea. While it regularly winds up on Best Hostel lists, take a look at Roo’s post to help decide if it’s right for you. Our series on section hiking Virginia will continue north, as we leave Daleville to cross back over the valley to the crest of the Blue Ridge. We’ll head north 134 miles to Rockfish Gap, gateway to the trail town of Waynesboro and to Shenandoah National Park. Along the way, we’ll hopscotch over the Blue Ridge Parkway, cross several rivers, and prove once and for all that Virginia is not flat.